Facing en economic crisis, mounting inflation and unlikely re-election prospects, Argentine President Mauricio Macri announced a package of economic measures including a freeze on utility rates, a voluntary price truce, and new credit line for senior citizens. The centerpiece of today's measures - the price truce - covers 60 basic items, mainly food. Sixteen retail chains, with 2,500 stores between them, have signed on to the agreement. Other measures include additional lending for housing and small business - reeling under central bank rates of 67% - and a new credit line for the nation's 8 million retirees. Buenos Aires Mayor Horacio Rodríguez Larreta, who belongs to Macri's right-wing PRO, joined the measure by suspending a 2-peso (10%) increase in subway fares planned for May 2. Subway fares had already been raised 153% from the same time a year ago, from 7.50 to 19 pesos (44 cents). The six-month agreement comes into effect on April 22 - until the October 27 general elections, which polls show Macri would lose by up to 22 points, depending on the opponent. The truce, on a voluntary basis, was described by Economy Minister Nicolás Dujovne as a "gentlemen's agreement." Food prices, however, have reportedly jumped by an average of 10% in advance of the truce, first rumored a week ago. Utility rate hikes, likewise suspended until the elections, have already reached an average of 3000% since Macri took office in late 2015. The price truce recalls a similar - but more far-reaching - "Price Care" program launched in 2013 by Macri's populist predecessor, former President Cristina Kirchner to help slow what was then 25% inflation. Kirchner's Price Care measure largely failed, and was described by Macri during his 2015 campaign as "something that won't be needed in our administration." Macri's "Economic and Social Program" comes a day after Argentina's INDEC statistical agency announced that monthly inflation in March had risen to 4.7% - and 54.7% from the same time last year. Inflation has risen steadily, from 25%, since the collapse a year ago of a carry-trade debt bubble known as the "financial bicycle" triggered a sharp devaluation from 20 pesos in April 2018, to 40 by the end of August. While a record, $56 billion IMF bailout has since contained the devaluation (the dollar has hovered around 43 pesos since February), pressure on prices has persisted. Consumer prices have tripled since Macri took office, with real wages down 18%. GDP was down 6.2% in the 4th quarter, with 263,000 jobs lost as of January. That's equivalent to 2 million job losses in the U.S.
Argentina's Macri beams at the child of a working-class family whose home he visited to "discuss" today's announcement. The voluntary price truce is set to expire in six months - just as Argentines go to the polls. 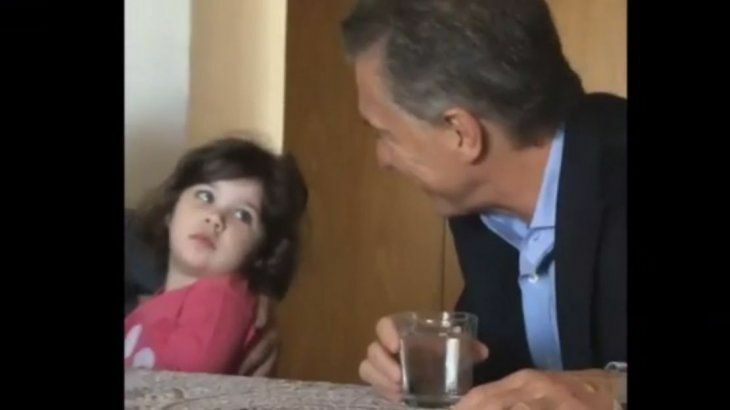 Observers noted that the family, who had already appeared in a 2018 Macri spot, lived in a smaller apartment today than they did during their last "chat" with the president just a year ago. 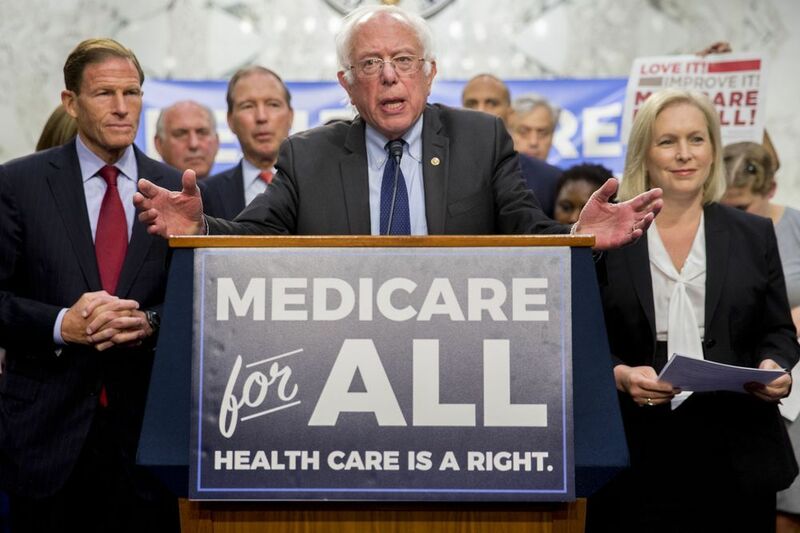 Sen. Bernie Sanders of Vermont unveiled a new version of his “Medicare for All” plan on Wednesday, shaking up the 2020 presidential race by reopening the debate over his call to eliminate private health insurance. Four of Sanders’ fellow senators and rivals for the Democratic nomination are set to sign onto the updated single-payer health care proposal. The bill’s reintroduction promises to shine a light on Democratic presidential candidates’ disparate visions for the long term future of American health care. Sen. Amy Klobuchar, a Minnesota Democrat, supports a so-called public option, versions of which would allow Americans to buy into Medicare or Medicaid. Four other Democratic senators also running for president — Elizabeth Warren, Cory Booker, Kamala Harris and Kirsten Gillibrand — back Sanders’ single-payer plan, which would replace the current mix of private and government health insurance in the U.S. with a new system run by the government. But they also have signed onto at least one version of a public option. Health care: A Yooman right. Colorado Gov. 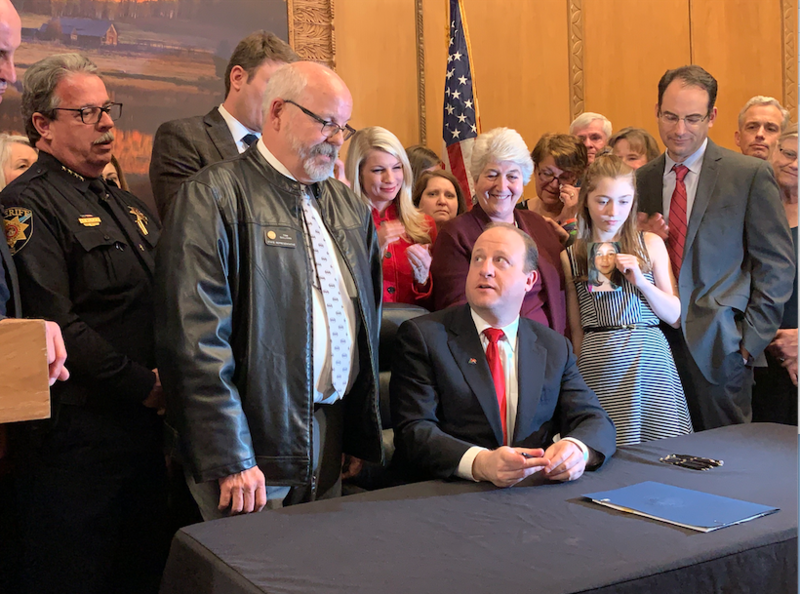 Jared Polis on Friday signed into law a bill that will give judges the power to take firearms from people they believe are at a high risk of harming themselves or others, making Colorado the 15th state to adopt a "red flag" law. The measure was fiercely debated in the Colorado legislature and passed the state Senate by just one vote. Supporters say the measure could help prevent suicides, mass shootings and other acts of gun violence while opponents argue that the new law will violate citizens' Second Amendment rights. The law is set to take effect Jan. 1, according to The Denver Post. "This law will not prevent every shooting, but it can be used in a targeted way," Polis said Friday, according to The Denver Post. "Today we may be saving the life of your nephew, your niece, your grandchild." Colorado Gov. Jared Polis signs Red Flag Gun Control Bill into law. 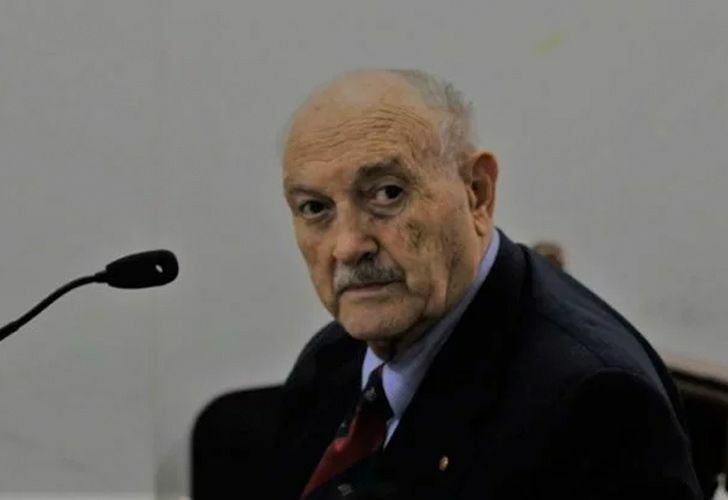 Retired Army General Alfredo Arrillaga, 85, was sentenced to life imprisonment yesterday for the summary execution of guerrillas surrendering after the recapture of the La Tablada Army barracks in early 1989. Arrillaga was found guilty of aggravated homicide in the case of José Diaz, 29, who was photographed at the time with his hands up and showing a white flag, although at least three similar cases of shooting prisoners are suspected. The far left Movimiento Todos por la Patria ('All for the Fatherland Movement') overran the La Tablada barracks on January 23, 1989, on the pretext that they were heading off a military coup against President Raúl Alfonsín. The battle lasted two days, with 32 dead guerrillas, nine soldiers, two policemen, and two civilians left dead. Arrillaga is already serving five other life sentences under house arrest for human rights violations during the 1976-83 military dictatorship. He is serving those terms under house arrest. The January 1989 La Tablada barracks attack, the last serious incident of far-left violence in Argentina, left 32 of the 46 assailants dead - plus four disappeared, including the rebels' attorney, Jorge Baños. The incident, 30 years later, remains little understood. Many link it to the 1989 elections, held just four months later - though its effect on the results was minimal. No credible explanation has been given by the Argentine government for the four disappearances. Former Argentine Intelligence Agency (AFI) operatives Ricardo Bogoliuk, Aníbal Degastaldi, and Rolando Barreiro, were indicted today on charges of illicit association and espionage. The three were indicted by Federal Judge Alejo Ramos Padilla as part of an ongoing probe into a massive extortion scheme involving millions in ransom payments, warrantless surveillance on political and media figures, as well as false testimony coerced against opponents of Argentine President Mauricio Macri. The Extortiongate case took an international turn when a raid on AFI asset Marcelo d'Alessio's home on February 13 uncovered CIA, U.S. Embassy and Israeli Ministry of Defense documents, and evidence of operations against Uruguay and Venezuelan oil company PdVSA - part of the Trump administration's push to freeze PdVSA's overseas assets. Both U.S. Ambassador Edward Prado and AFI chief Gustavo Arribas, a longtime business partner of Macri's, deny involvement. Today's indictments follow those for d'Alessio on February 25, after 22 hours of incriminating tapes collected by farmer Pedro Etchebest, from whom d'Alessio sought a $300,000 ransom, were published. The tapes, made throughout January, show d'Alessio boasting that some $12 million in bribes had been coerced from victims since August 2018, that political opponents had been “framed,” and that Federal Prosecutor Carlos Stornelli “managed” the enterprise. 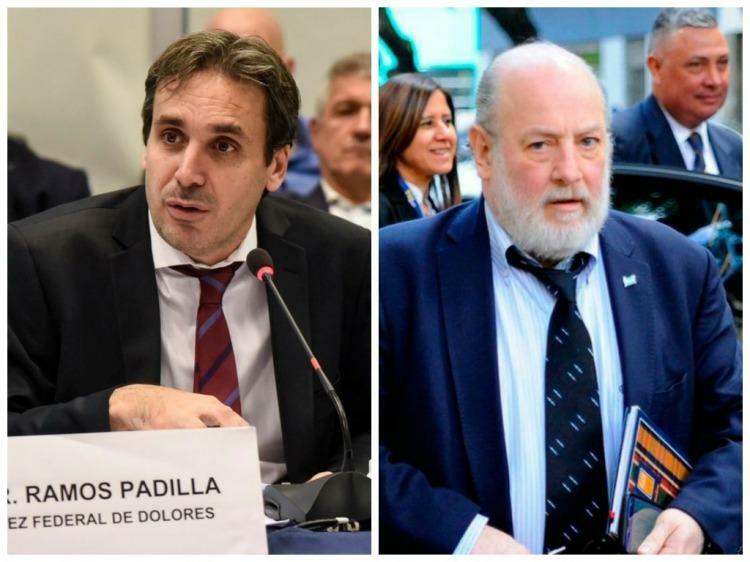 Audio, video, and WhatsApp messages show a close working relationship between the two - as well as with Security Minister Patricia Bullrich and the the chief judicial affairs writer for the right-wing daily Clarín, Daniel Santoro. Santoro, according to d'Alessio, wrote hit pieces at his behest against those refusing to pay. One alleged victim, public contractor Mario Cifuentes, testified on March 26 that Santoro did so last year after d'Alessio failed to obtain a $1.2 million bribe. Carlos Stornelli was charged with illegal espionage against his own ex-wife on March 6 but has refused to cooperate; he was declared in contempt on March 27. The alleged mission, entrusted to d'Alessio, according to the Etchebest tapes included "planting drugs" on her lover's baggage - a plot similar to one found in d'Alessio's files involving a 2018 plan to link Santa Fe Governor Miguel Lifschitz to a violent drug gang known as Los Monos as part of a smear campaign. Bogoliuk and Degastaldi - both former police captains recruited by the AFI - reported to d'Alessio, according to the latter's statements to the court. The two are also under investigation by Buenos Aires Governor María Eugenia Vidal - a top Macri ally - for allegedly investigating her personal life at Macri's behest. Barreiro's testimony prompted Giselle Robles, former attorney for convicted tax evader Leonardo Fariña, to reveal his client had been coached by the AFI to provide false testimony against former President Cristina Kirchner. Fariña, according to d'Alessio, received 200,000 pesos ($4,600) monthly from Bullrich in return. The racketeering case against Kirchner, known as the "K Money Route," was dismissed as without merit on November 12. Another prosecutor charged in the d'Alessio case, D.A. Juan Bidone, testified on April 10 that he improperly implicated a candidate for governor in 2015, Aníbal Fernández, on d'Alessio's instructions. Fernández lost that year to Vidal. To Stornelli through the Boca Juniors football club, which Macri headed until entering politics. And to d'Alessio through d'Alessio's uncle (whom Macri appointed presidential notary public), as well as through d'Alessio's former law partner, who administers Macri's blind trust. Macri had already been indicted in 2009 for using Buenos Aires city police to illegally wiretap both critics and allies - even a brother-in-law; the case was dismissed when he became president in 2015. The case has become an unforeseen political headache for Macri, already facing unlikely re-election prospects this year amid an economic crisis and job approval ratings of 24%. Federal Judge Alejo Ramos Padilla (left), faces not only stonewalling from the Macri administration; but also attempts from another Federal Judge, Claudio Bonadío (right), to have the Extortiongate case transferred to his court - where, critics believe, the case would quickly be buried. Bonadío, known as Macri's "napkin" judge for his willingness to follow the president's agenda, is the public face of Argentina's weaponized judiciary against opponents. Intelligence operative Marcelo d'Alessio played a key role by coercing false testimony (and payouts) from witnesses, coaching others, and helping concoct evidence. A French court on Thursday upheld a guilty verdict against chemicals giant Monsanto over the poisoning of a farmer who suffered neurological damage after using one of its weedkillers, the latest legal setback for the company over its controversial pesticides. Cereal farmer Paul François has been fighting Monsanto, a formerly US company which was bought by Germany's Bayer last year, for the past 12 years. In the first ruling of its kind against Monsanto anywhere in the world, a French court in 2012 found it guilty of poisoning François. French farmer Paul François, left, and his lawyer François Lafforgue. François said he hopes French President Emmanuel Macron takes note of today's ruling. "Macron had said that he would seek a different agriculture, without glyphosate." "But he has not done so, so now we know who he is riding with: he rolls for Bayer." Democratic presidential candidate Bernie Sanders will introduce his vision for universal healthcare, called Medicare for All, on Capitol Hill Wednesday. His long-promised healthcare package will include a variety of changes, including care for the disabled and eliminating the need for private insurance companies. It would expand the same coverage that's currently offered to those over 65 to all Americans. "In the United States of America, you should not be forced into bankruptcy for being diagnosed with cancer," Sanders tweeted Tuesday. He will introduce the proposal at 11:15 a.m. EDT. The independent senator's Medicare for All Act of 2019 is so far supported by a number of lawmakers and more than 50 national organizations. It has more than a dozen co-sponsors in the Senate, including Sens. Kamala Harris, Elizabeth Warren, Cory Booker and Kirsten Gillibrand -- all of whom are also vying with Sanders for the 2020 Democratic presidential nomination. Medicare for All: A Yooman right. Prolific actor Seymour Cassel, who received an Academy Award nomination for “Faces” and appeared in Wes Anderson films including “Rushmore,” died Sunday in Los Angeles of Alzheimer’s disease. He was 84. Cassel was born in Detroit in 1935. His early career was tied to Cassavetes and he made his movie debut in an uncredited role in Cassavetes’ first film, “Shadows,” in 1958. In 1968, Cassel was nominated for the Academy Award for supporting actor for his role as Chet in Cassavetes’s cinema verite drama “Faces.” He also won a National Society of Film Critics Award for the performance. Seymour Cassel as Joe the mafioso in the 1992 dark comedy, In the Soup. Attorney Michael Avenatti claimed Saturday that Nike "bribed over 100 basketball players" in a bid to influence them to attend colleges with Nike contracts. Avenatti, who was arrested last month for allegedly trying to extort more than $20 million from Nike by threatening to release damaging information, also suggested via Twitter that Duke star Zion Williamson's mother received "consulting" fees from Nike as a "bribe" to influence his decision to attend Duke, which has a Nike contract. The celebrity attorney released dozens of documents via DropBox allegedly showing evidence that Nike made payments to associates of former Arizona star Deandre Ayton (now with the Phoenix Suns), Oregon's Bol Bol and former UNLV player Brandon McCoy. Avenatti noted in a tweet: "Nike should be criminally indicted on well over 200 counts and should also explain why they misled their investors/the SEC. If I'm lying or the docs are not legit, I challenge Nike to issue a stmt claiming no bribes were ever paid. Just Do It Nike!" Attorney Michael Avenatti and Phoenix Suns star forward Deandre Ayton. Documents released today by Avenatti suggest Nike engaged in a wide-reaching bribery scheme involving Ayton and others - a charge Nike describes as extortion on his part. Vegetarian burgers may finally be getting the recognition they need to go mainstream. On Monday Burger King and Silicon Valley startup Impossible Foods announced the rollout of the Impossible Whopper in 59 stores in and around St. Louis, Missouri. "We wanted to make sure we had something that lived up to the expectations of the Whopper," said Burger King's North America president, Christopher Finazzo. "We've done sort of a blind taste test with our franchisees, with people in the office, with my partners on the executive team, and virtually nobody can tell the difference."